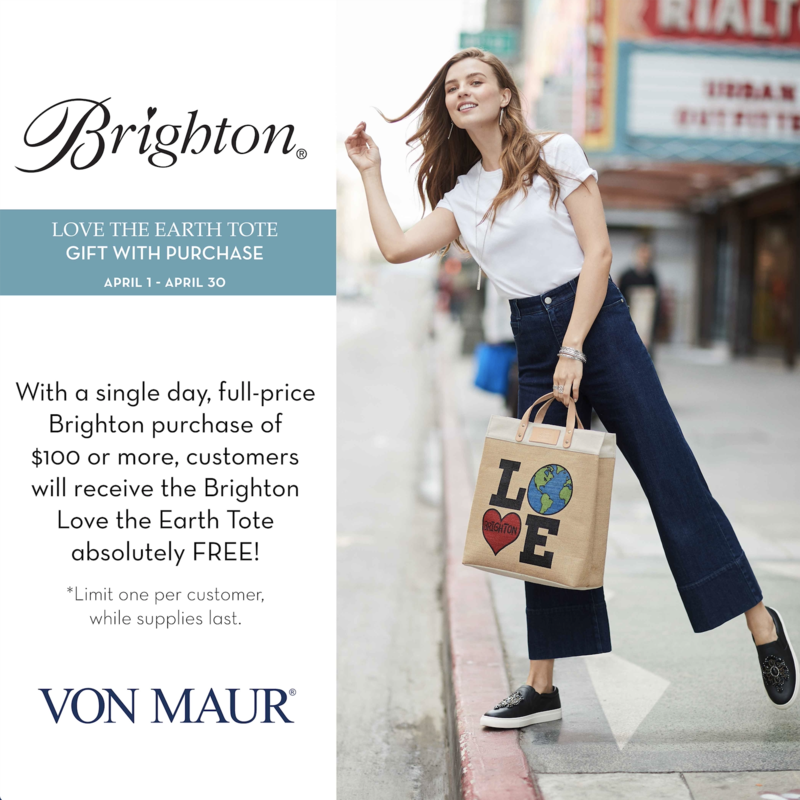 Receive the Brighton Love the Earth Tote absolutely FREE with any full price Brighton purchase of $100 or more! Some restrictions may apply on the Brighton Gift With Purchase. Limit one per customer, while supplies last.